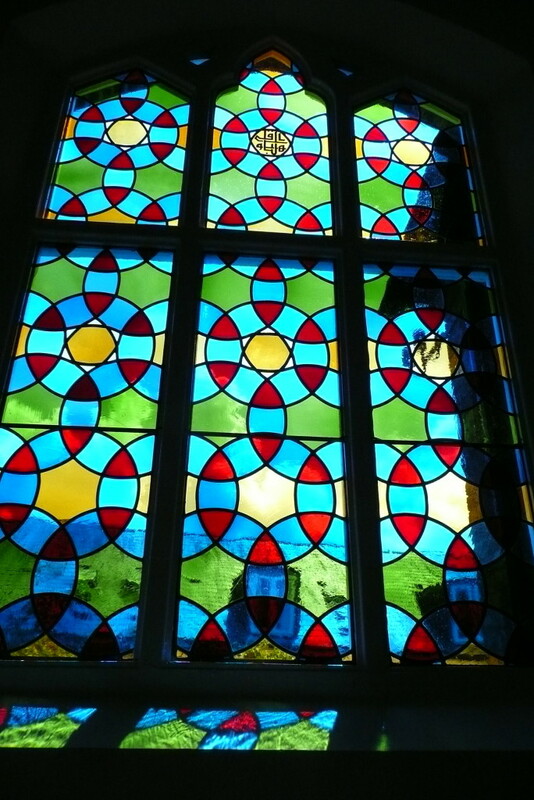 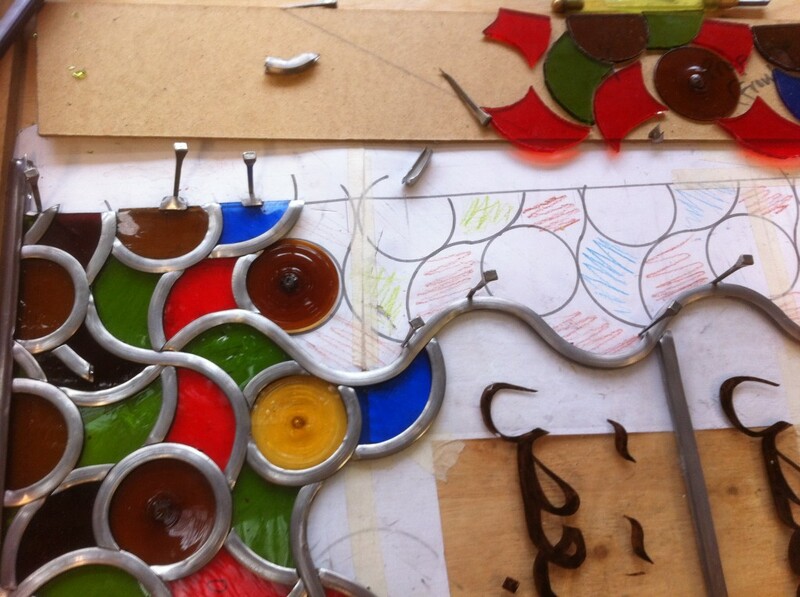 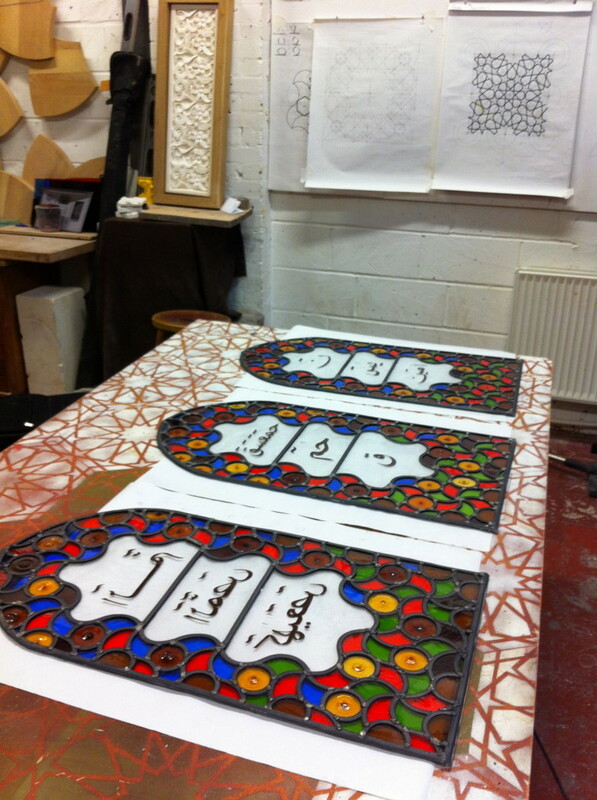 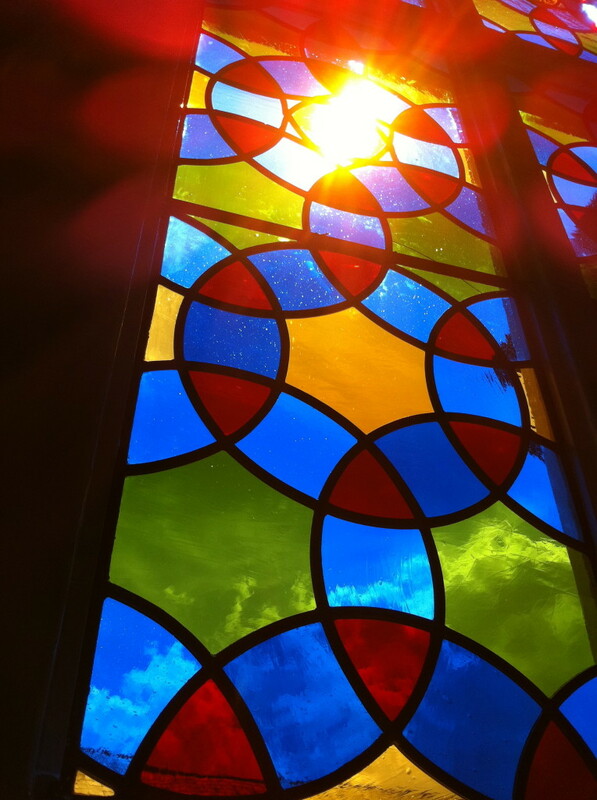 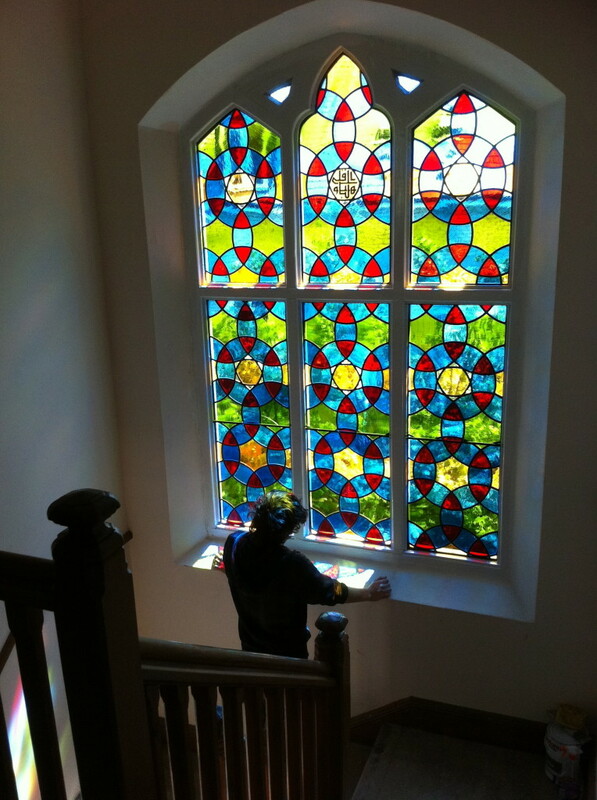 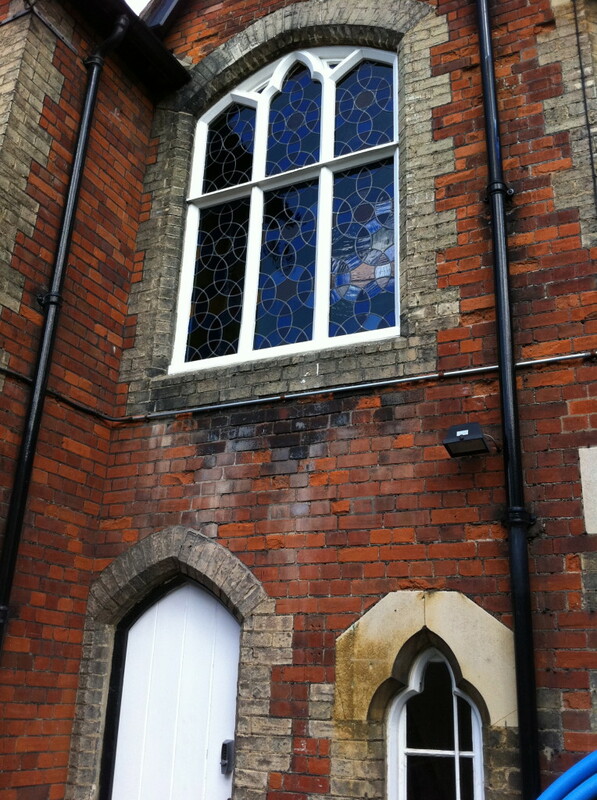 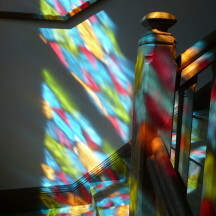 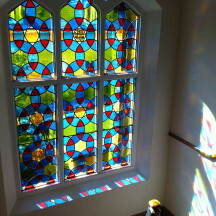 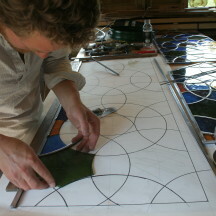 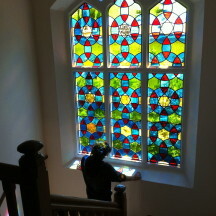 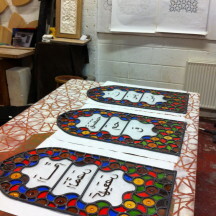 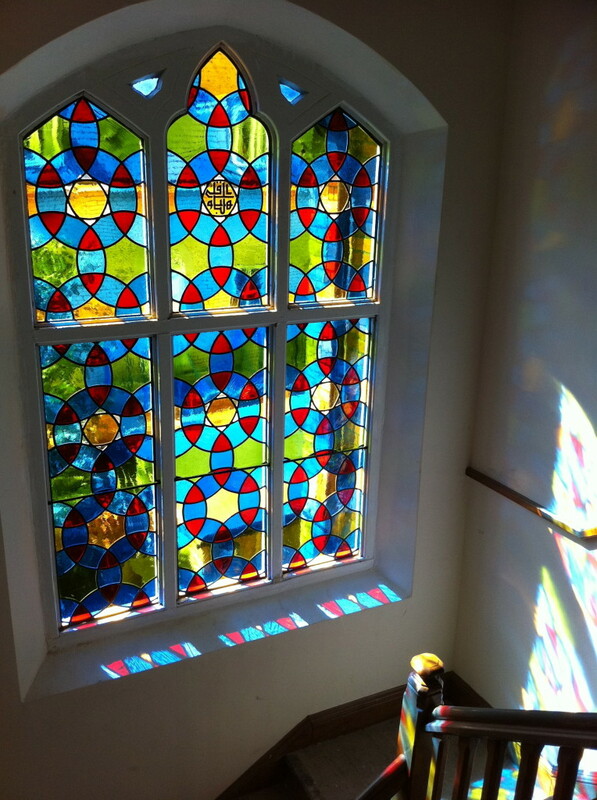 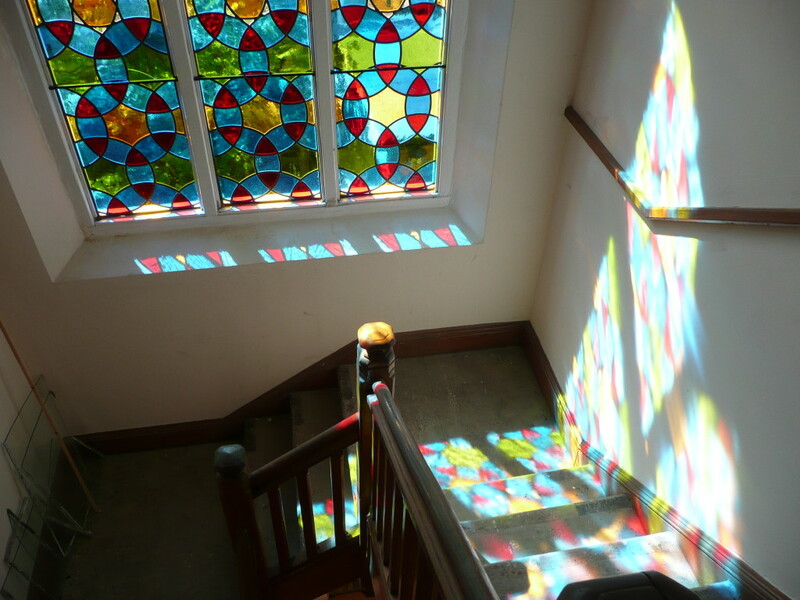 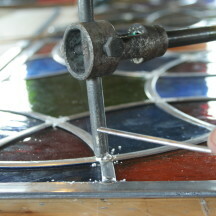 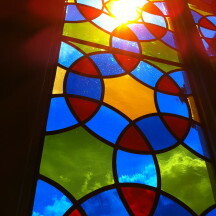 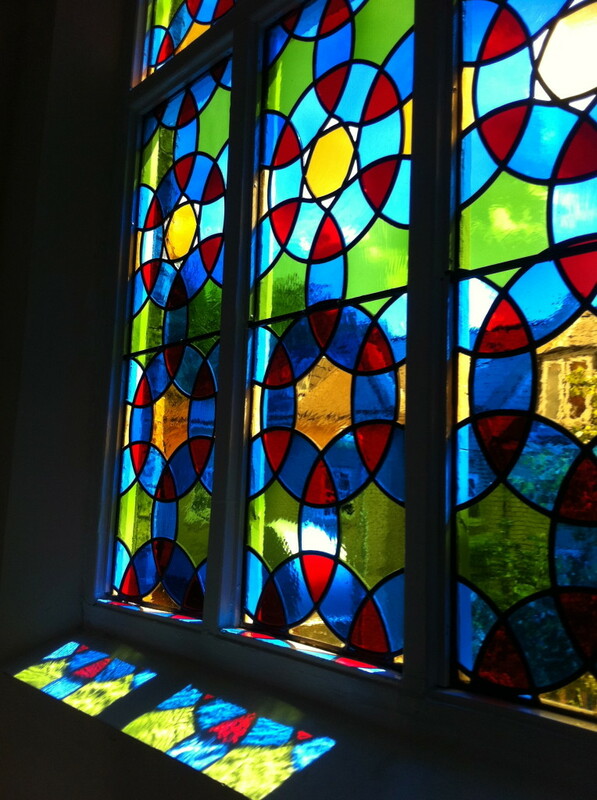 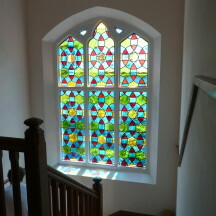 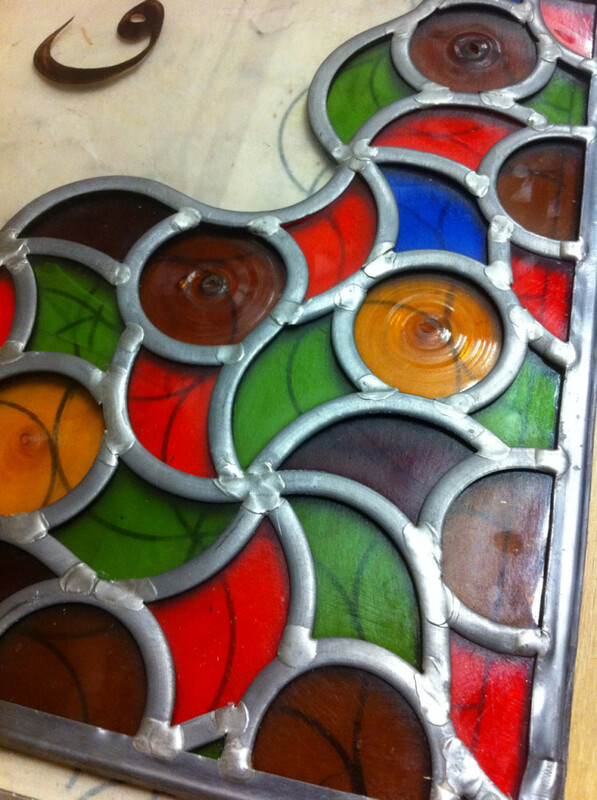 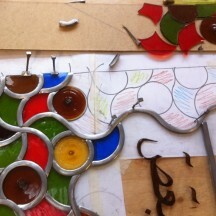 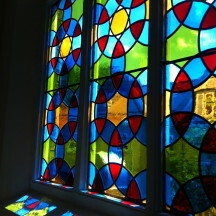 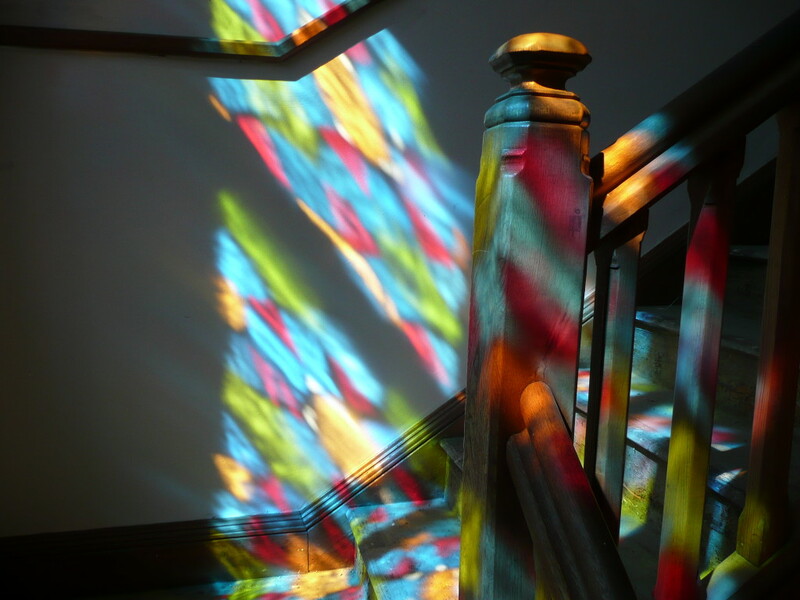 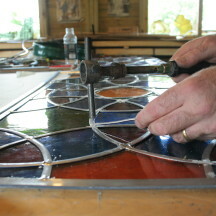 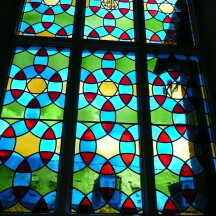 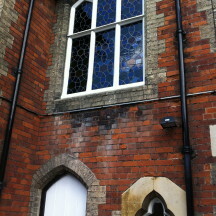 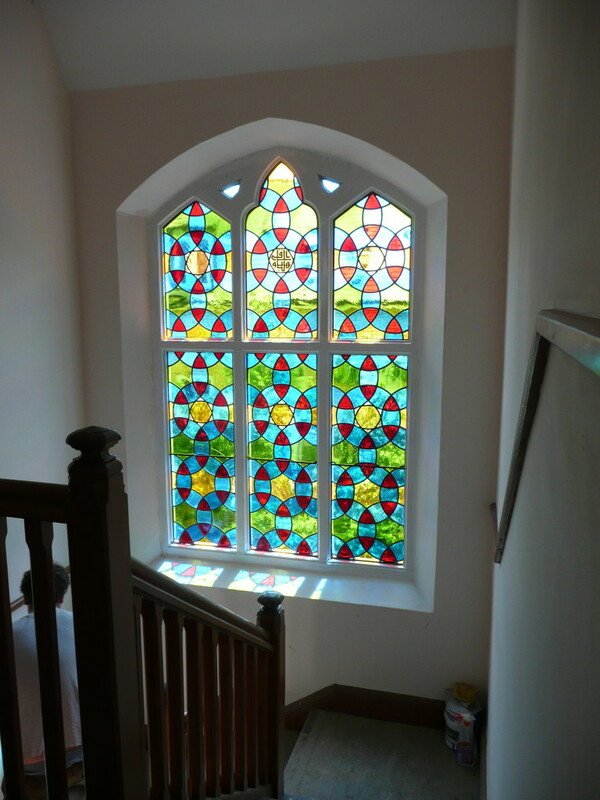 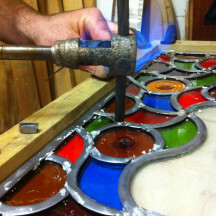 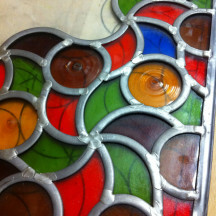 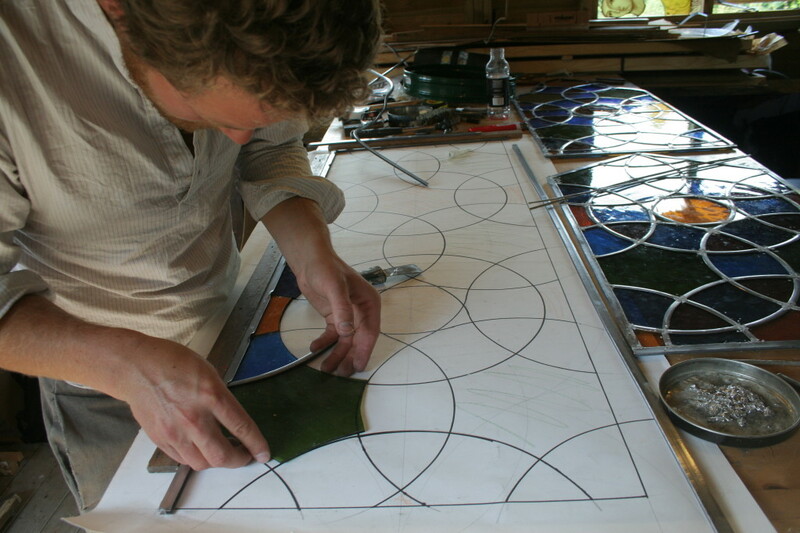 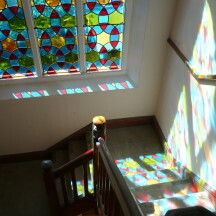 Adam created two sets of stained glass windows. 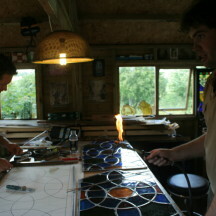 He was assisted by artist Jamie Clark. 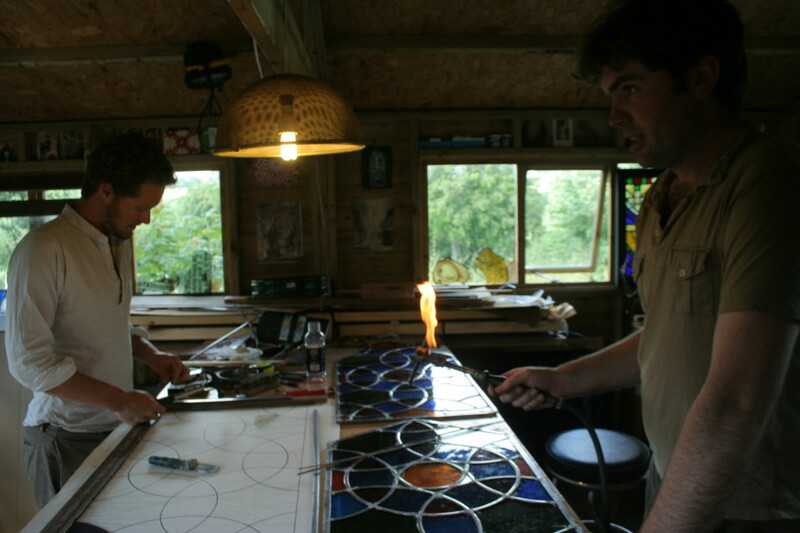 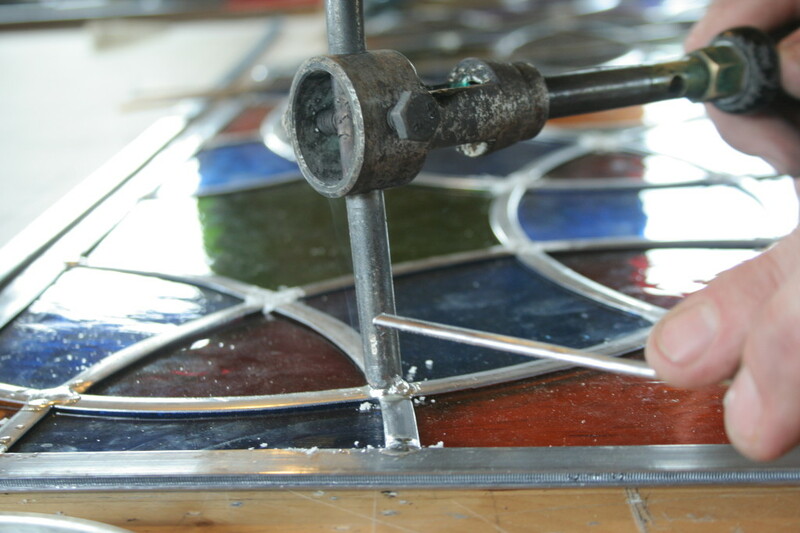 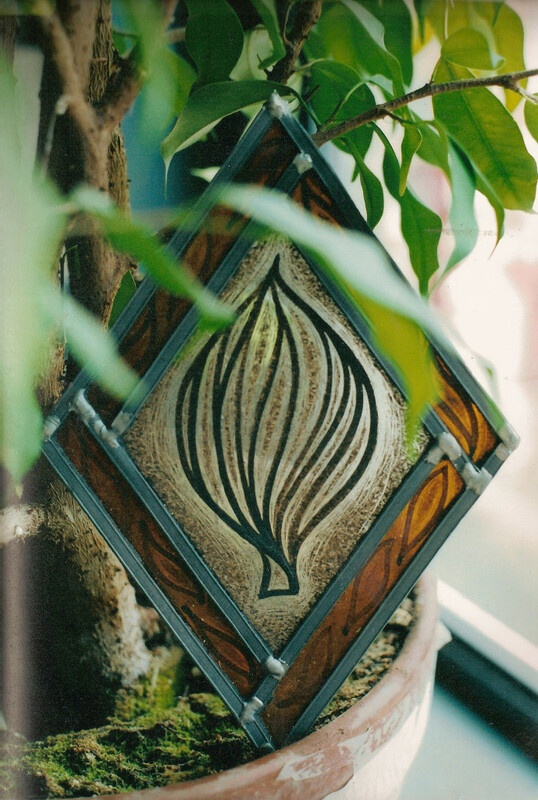 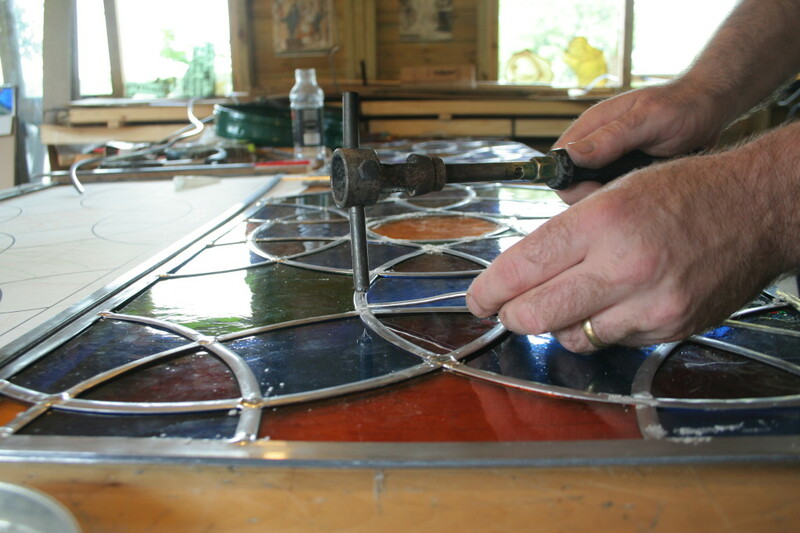 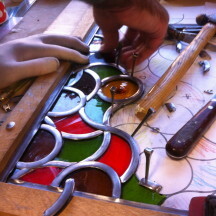 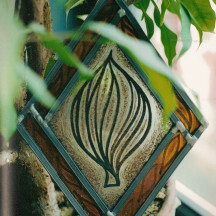 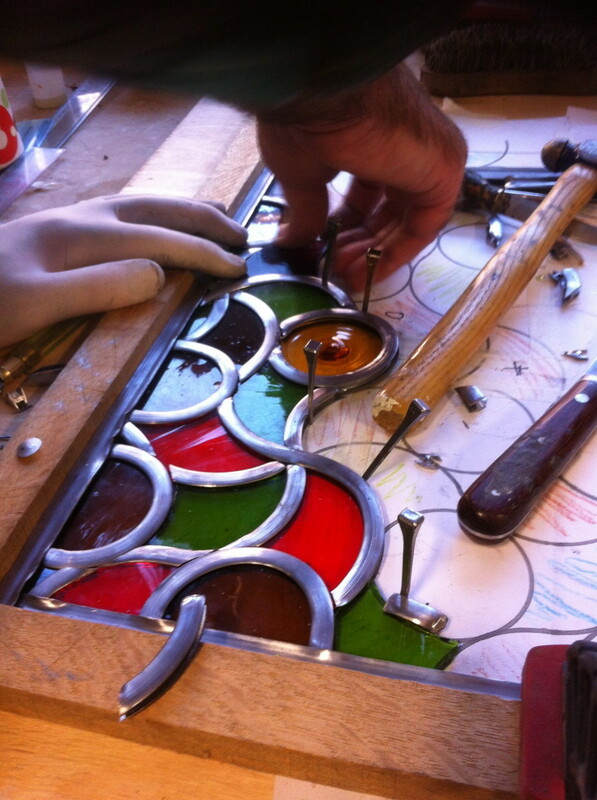 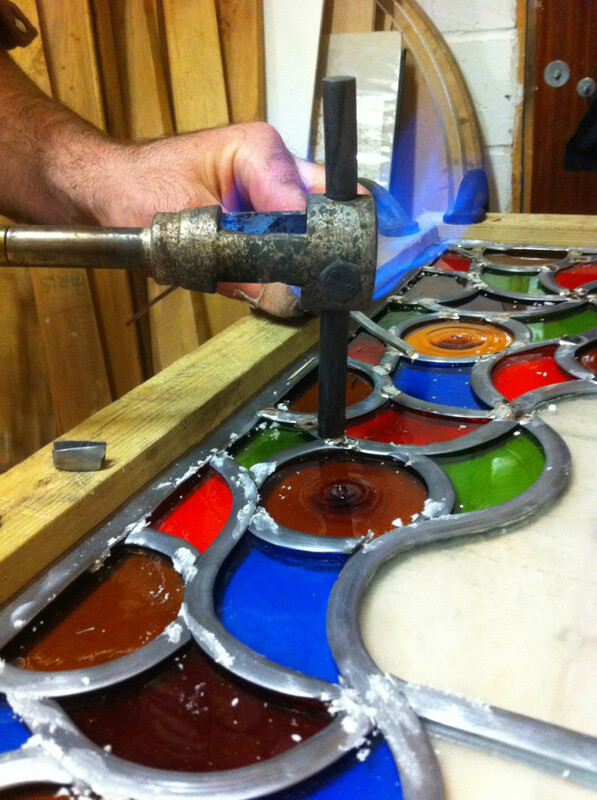 They used hand blown glass from Germany and the panels are made using the traditional process, cutting, leading up and soldering the glass pieces into place by hand.